When we hear the President saying things that betray some of our most deeply-held values it is virtually impossible to feel love for him or want to be his friend. It is one thing to accept that we will never reconcile with Trump, a particularly pathological character with whom we will never come into contact, but things get more complicated when the people we judge include the whole Republican Party, nearly 40% of the population who support Trump, and most difficult of all, acquaintances, friends, and family members who believe that Trump speaks for them. Such divisions as we now face cannot be good for the human race. 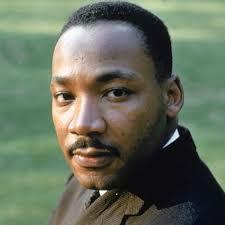 On this day, when we celebrate the Reverend King, we’re led to ask, what do we do about all these enemies? Are we supposed to love them? How do we do that? And will this really make any difference? Even if we could get past our own enmity, the intransigence of our enemies makes it hard to believe that anything could bring us together in amity. Is there really any chance of becoming friends? In order to answer these questions, we need to talk about a belief that underpins many of the values we fear are being threatened today. That core belief is in the essential goodness of humanity. Not everyone agrees that people are intrinsically good. We have been arguing this question – whether we are essentially good or bad – since the first philosopher looked at the stars and asked herself why. Trump believes we are essentially bad and this view determines much about him which many of us find repugnant. In Trump’s dog-eat-dog world where everyone is out for themselves and against everyone else, winning is everything. Truth, fair-play, and the collective good are foolish illusions for suckers. In his “America First” view, since China and Russia are bad, the answer is for us to win by being worse. Trump is not alone in this negative view. 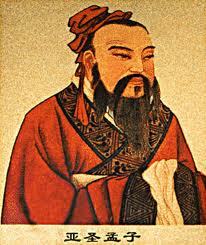 Thinkers from the ancient Chinese philosopher Xunzi who lived in 300 B.C.E. 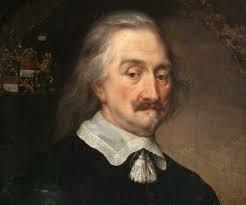 to Thomas Hobbes who lived in England in the 16th Century believed that humans are essentially bad. But whether you know it or not, if you find Trump’s view of the world vile, you are probably a humanist who believes in the essential goodness of humanity. This view was represented in ancient China by Xunzi’s rival, Mencius, and his view can point the way to how to fulfill Dr. King’s exhortation to turn our enemies into friends through love. Mencius believed that our original nature was good. He proved this by the story of the child in the well. If anyone passed a well and heard the sound of a child crying from the bottom they would be naturally moved by compassion, thereby proving that goodness is innate. Central to Mencius’s philosophy was the idea of “heart.” The heart, he believed, was the organ of this compassion and goodness. Just like the tongue knows what tastes good and the eye knows what is beautiful, the heart naturally knows what the good is. How, then, did Mencius reconcile the problem of evil? He believed that to become what we are meant to be, to develop our innate capacity for goodness, we need to be cultivated properly. We need the appropriate emotional sunlight, soil, and water. But unfortunately, almost none of us get this, and in fact, all too many of us get just the opposite. As a result, we live mired in illusion and limited in our ability to love. Mencius believed that we lose touch with our goodness through a lack of cultivation of the heart. Evil acts don’t mean a person is intrinsically bad. It simply means the person has a lost heart. They have lost connection with their original nature. There is no question that many people act in terrible ways. But when we reflect on our own, or learn about other’s, upbringing and experiences growing up in the world, we can begin to understand and have compassion for how we have gotten this way. These folks are not deserving of our hatred because, to put it into psychological terms, they are not evil, they are emotionally wounded. Mencius’s view can give us a means of finding our way to deal more constructively with those we judge so negatively. If we could see our enemies as hurt and frightened children, it could awaken our own compassion and bring us closer to being in touch with our own hearts. Science is now backing up what Mencius understood intuitively. Children have an innate sense of empathy and tend toward social cooperation, while emotional neglect and abuse increase the likelihood of damage to one’s cognitive, emotional, and social development. But the other thing that science tells us is that we have the ability to grow, change, and develop our hearts, or our innate capacity for goodness. We can emerge from ignorance, become more open-minded, feel more deeply, become more empathic, and deepen a sense of loving connection to others. What we also now understand is that King was right. To find our lost hearts, or develop our capacity for goodness, we must feel emotionally safe. In order to feel safe in this way we must be understood and accepted by others. We open our hearts and minds when others are empathic toward us. If we believe in the innate goodness of people then our great spiritual task is, as Martin Luther King reminds us, to love even those whose behavior we find most hateful by remembering that behind the defensive postures of closed-mindedness, prejudice, and cruelty there is a hurt, frightened, and emotionally wounded person. If we can feel empathy and compassion instead of judgement and derision towards those we don’t understand then there is a possibility that they will drop their armor, find their hearts, and we can cross the unbridgeable divide and become friends. It may be hard to remember sometimes, but behind every ugly exterior there is a warm heart that wants to be loved. If there is any hope for the world right now, it lies in that need to be loved. We must cultivate the love in our own hearts and give that love to everyone, because the only chance to change the minds of our enemies is to speak to their hearts through love.